*Click on the topic to display the answer/explanation! [+] What can I check first? *If you have more than one television on cable service and all of them have the same problem, proceed to call our office. If your television is connected to an HD gateway (such as a DVR), DTA, or other gateway device: ensure that the TV is set to respective input/source. Refer to the TV manufacturer regarding more information about source/input. Check to ensure that all of the connections and fittings to your television are tight and correctly installed. Make sure that all of your equipment is turned on and plugged into a functioning electrical receptacle. If you are not receiving any channels above Channel 13, and your TV (or VCR) is cable ready, make sure that it is in the "CATV" mode and not the "Antenna" mode (you may need to refer to your Owner's Manual). [+] I have snowy channels, what do I do? If you have already read the post above and checked your issue against those conditions then proceed to contact a cable representative at 348-5947. If a cable representative cannot assist you, a technician will service your call within 2 working days. [+] I have no cable TV at all, what do I do? If you have already read the posts above and checked your issue against those conditions then proceed to contact a cable representative at 348-5947. If a cable representative cannot assist you, a technician will service your call within 2 working days. [+] I need VCR assistance! VCR AS A TUNING/PLAYBACK DEVICE: In this case, the VCR controls what you see on the TV by tuning in our signal. Make sure the TV/VCR selection is set to the "VCR" mode and your TV is on either channel 3 or 4 (depending on the VCR's setting). If you then do not have a picture, try playing a pre-recorded videocassette. If the recording does not display, there is possibly a problem with the VCR. If the VCR will play a tape, but you are still not receiving our cable signal, call our office. VCR PASSING THE CABLE SIGNAL: Sometimes you may want to use a cable-ready television to tune in our channels. To view our cable signal at the set while the VCR is on, check to make sure that your VCR's TV/VCR selection is set to the "TV" mode (Please refer to your Owner/Operator manual). Also, most VCR power cords must be plugged in to allow our cable signal to reach your television, even when the VCR is not use. If your set has a QAM tuner but no CableCARD slot, then you'll be able to receive the Louisville digital broadcast digital channels but will need a set-top box to receive the remainder of our scrambled (encrypted) non-broadcast HD programming. If your HD television does not have a QAM tuner, you will need an external receiver of some sort to receive any HD programming,although most all current televisions are manufactured with a QAM tuner. Select non-broadcast HD programming is currently available in our "HD Value Pack" (ESPN, ESPN2, A&E, History, TNT, Outdoor Channel, Food Network, HGTV, etc. See our whole HD lineup at http://www.bardstowncable.net/cabletv/basic.shtml ). This package is free to Expanded Basic subscribers. However, where we are required to scramble these channels, rental of equipment from Bardstown Cable will be necessary to decrypt the HD Value Pack. Customers currently have three options for acquiring our available HD channels through	Bardstown Cable TV Equipment: For more information, reference our HDTV info page. [+] I'm not getting channels above 22! If you are not receiving channels above 22, you have rescanned your TV, and you are subscribed to the Expanded Basic package, then you most likely will need a Digital to Analog Converter box. For more information, please see our webpage about the Digital conversion. 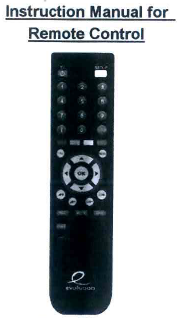 The instructions to program one of our High-Definition Box remotes are available here.